Ask any child how much he or she loves their grandparents and they'll tell you how much Grandma and Grandpa rock. They'll go on and on about how they love visiting Grandma and Grandpa's house to play, bake, or just spend time together. Ask any grandparent about their grandchildren and they'll tell you just how uniquely perfect, adorable, and adventurous each one is. Being a grandparent gives you the chance to fully play with the youthful little people you met and instantly loved. Grandparents have the opportunity to bridge the gap between generations, turning an already very special relationship into something incredibly multi-faceted and beautiful. • Tag along for a school event. If you live close and your granddaughter or grandson is in a musical or playing a basketball game, you should go and watch them shine. They'd love to see you there. • Take a trip to the library, museum, or aquarium. Go somewhere that's both fun and educational for everyone. • Hang at home together. Play board game favorites, blow bubbles, or put together puzzles. • Get a fish tank at home and share it with your grandchildren. Children love to observe bright-colored fish swim—and name and feed them too! You'll share something special with your grandchildren, and teach them how to be responsible when taking care of the fish whenever they visit you. • Share a favorite hobby with your grandchild. What's one of your favorite things to do? Whether it's playing piano, fishing, or cooking, share it with your grandchildren! Do it together, or commit to teaching them a bit about it. If they don't seem interested, you can always try something else. • Put together a sticker collection, or any sort of collection! Collecting seashells, stickers, dried flowers, or something special is a meaningful way to connect. Sharing a collection and committing to it over the years can really help you continue to grow close. • Share old family photographs and belongings that used to be Mom or Dad's. Remember to share your stories with your grandchildren! Even though, at times, it might seem like grandchildren are too young to retain stories, they're so important for them to hear! Plus, you'd be surprised how much they'll actually remember once they start getting older. • Read together! (This is an important one.) Find out what characters and stories your grandchildren like and be sure to carve out some time to read books that will interest them whenever you are together. We have two new great recommendations below! Grandparents, what activities do you like to do when you visit your grandchildren, or they come to visit you? Share your comments with us! Whether you live near or far from your grandchild, you can remind him or her about all the fun things you do together in this colorful personalized book! 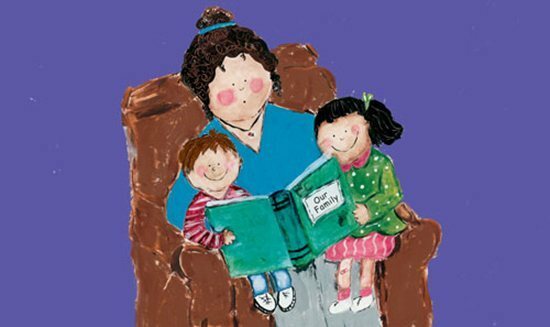 Grandma Loves Me!, by award-winning author-illustrator Marianne Richmond, makes a great gift or special keepsake for your grandkid of any age. Perfect for a grandchild of any age, Grandpa Loves Me! is as sweet as can be. This book shows your grandson or granddaughter how much you care about him or her every time they read it. When your grandchild remembers all the fun they have with Grandpa, they won't be able to wait until your next visit!